Wet 'n' Wild makeup is so inexpensive that it makes you a little wary. I finally took the plunge, though, and picked up their 8-pan eyeshadow palette in Comfort Zone and It. Is. Awesome. The left column has four more neutral shades, while the right side is a little more vibrant, including one of the most interesting shades I've ever seen. The definer shade on that side is pretty much what I always want MAC Club to be and never is. The pigmentation on almost every shade in this palette is outrageous, and at $4 for eight shadows, it's a damn steal. 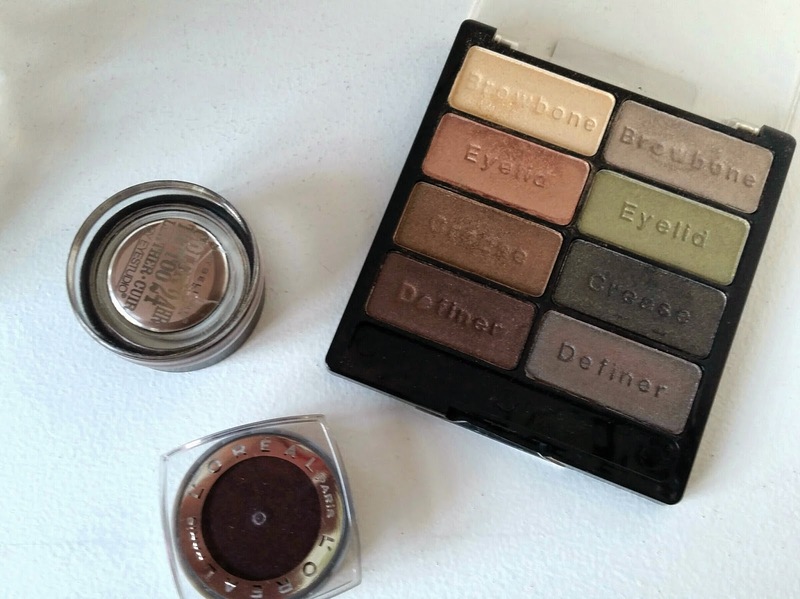 Unfortunately, I also managed to come across one of the worst eyeshadows I've ever encountered. I heard and read so many good things about the L'Oreal Infallible Eyeshadows, and when I spied Smoldering Plum, I thought I'd give it a try. I love wearing plum shades because they make the green in my eyes pop, but this just did not live up to my expectations. In addition to reading as more of a black-gray color when I swatched it, the patchiness almost made me want to give up there. I didn't though, I persevered and discovered that the longevity was basically nonexistent. Not sure if this color was just a dud, or what, but I was seriously bummed out.